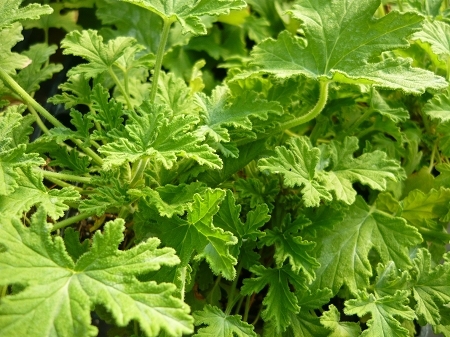 Citronella Scented leaves reputedly repel biting flies and mosquitos. Also called "mosquito plant geranium". Rounded bushy habit, makes a nice container plant. Perennial zones 10-11+ Live starter plant in 3 inch container.